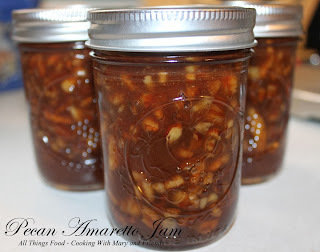 I was on a mission of sorts to try to make a pecan jam. There are little to no recipes out there ... oh there are some for Pecan Pie Filling, but I really wanted a "jam" I didn't need to add anything to when I opened the jar. This came out just right with a hint of Amaretto. Serve over pancakes or waffles, top on biscuits or scones, vanilla ice-cream, cheesecake, or anything you like. Could even be used as a filling between cake layers. It's spicy, sweet and totally yummy! In a large stainless steel or enamel pot melt the butter over medium heat with apple juice and vinegar; add pecans and Sure-Jell and bring to a rolling boil. Mix spices with sugars and add all at once to pot; return to a rolling boil and cook for 1 minute. Remove from heat and carefully add the Amaretto, stirring until combined. *Ladle jam into sterile hot jars leaving 1/4 inch head space (see note below). Process jars for 10 minutes in a boiling water bath. Remove jars and let cool on a kitchen towel on your counter-top. Jars are sealed when button on lid depresses completely (you will hear it “pop” or “ping” when it seals). 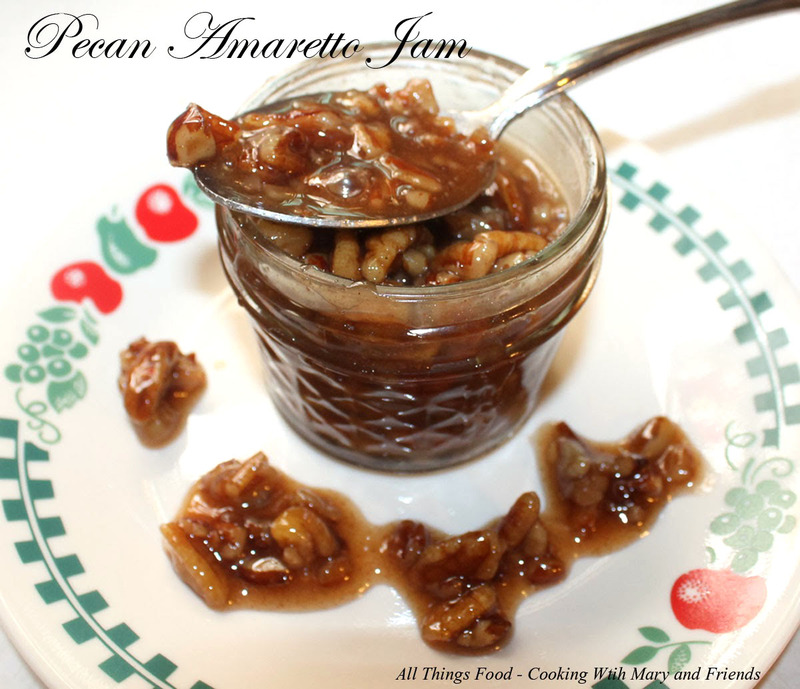 As jam cools, gently shake jars from time to time to evenly distribute the pecan pieces in the jam (this may take a few hours as it cools and thickens). 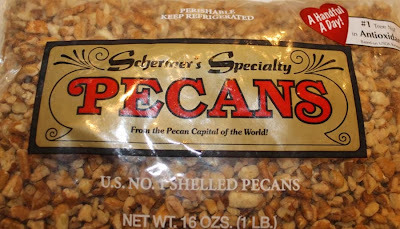 *Cook's note - to evenly distribute pecans to liquid, use a slotted spoon to add pecans to jars, then ladle sauce over pecans leaving a 1/4 inch head-space. *In accordance with safe canning practices, this jam must be kept in the refrigerator and is not considered shelf-stable. This jam will keep several months in the refrigerator. *Great gift idea for the holidays! 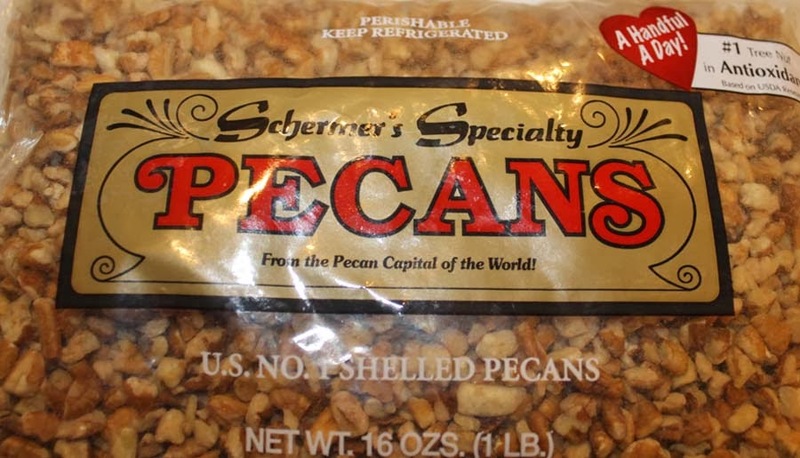 Disclaimer: The samples in this post were provided by Schermer Pecans. All opinions are my own.